control and troubleshooting of environmental control systems that can be monitored and changed from across the globe. 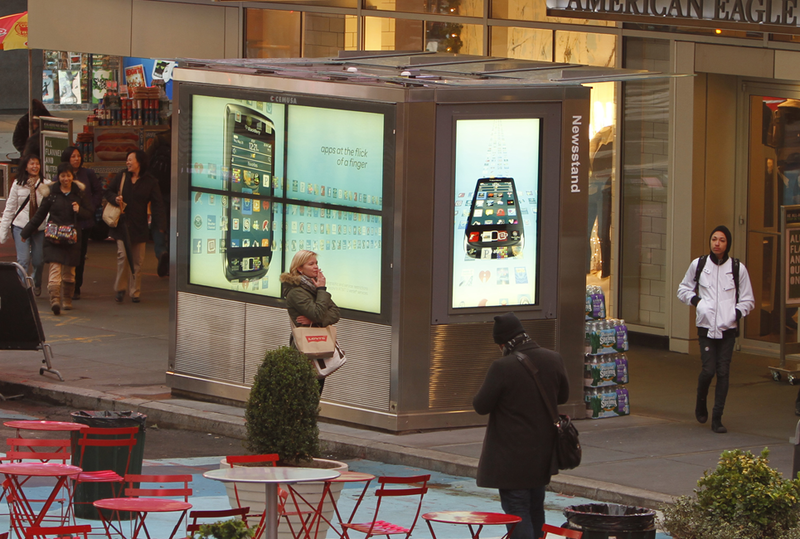 CEMUSA, a world leader in street furniture, used these custom air conditioners paired with our LED backlit Ultra Bright monitors for their newsstands in Times Square. Click here to visit CEMUSA.